Ski Center Latemar is the biggest skiing area in the Val di Fiemme-Obereggen ski resort. There are 3 access points to the slopes: Predazzo, Pampeago and Obereggen. From December to April the slopes are perfectly groomed and covered in snow thanks to a sophisticated programmed snowmaking system. In Val di Fiemme during winter the days are perfect for skiing: splendid slopes, speedy lifts, extraordinary shows, breath taking views, games on the snow, delicious food in the mountain huts, music and fun. 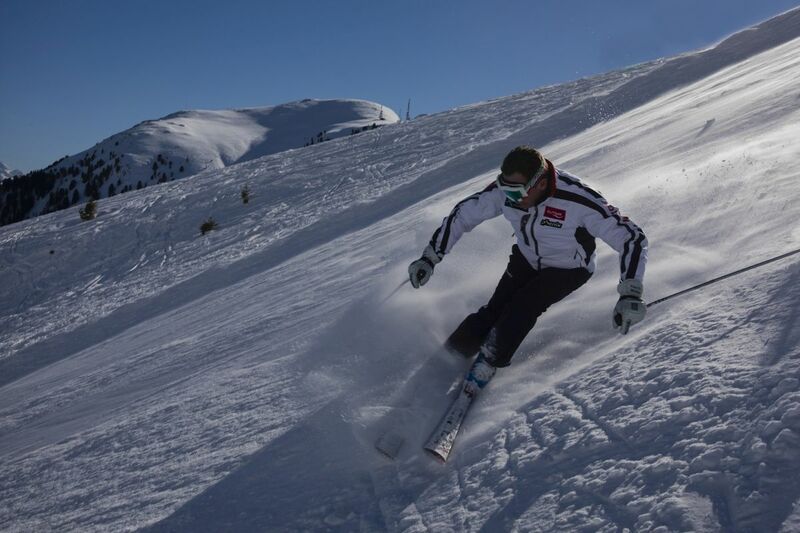 The ski instructors of the Alta Val di Fiemme ski school are available for helping your children learn how to ski, they are taken care of attentively and the children learn to ski and enjoy themselves. Do you want to try skiing a few turns? 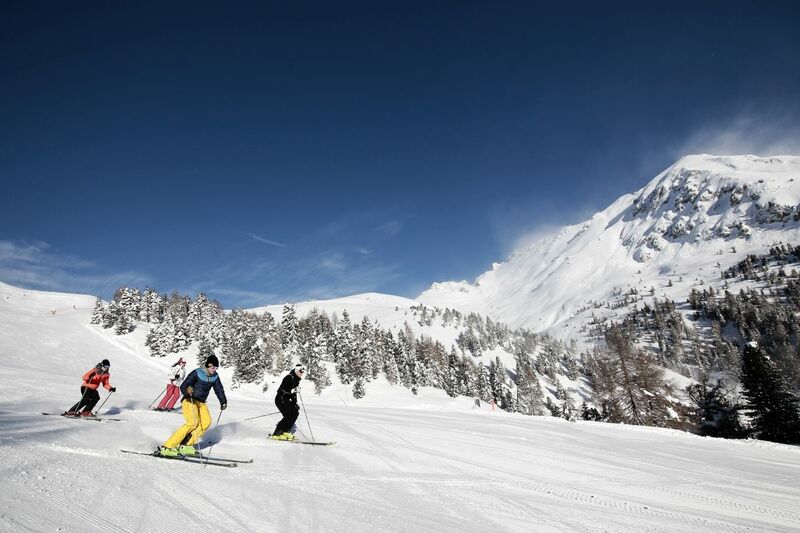 In Val di Fiemme at Gardonè you will find two magic carpets free of charge, give skiing a go. fun: you laugh on ski slopes, you play, learn, fall, get up and laugh again. There is no right age to start skiing. Usually children start skiing around 4/5 years of age, when they have good balance. Age is relative, there are 3 year olds who enjoy themselves and learn quickly. 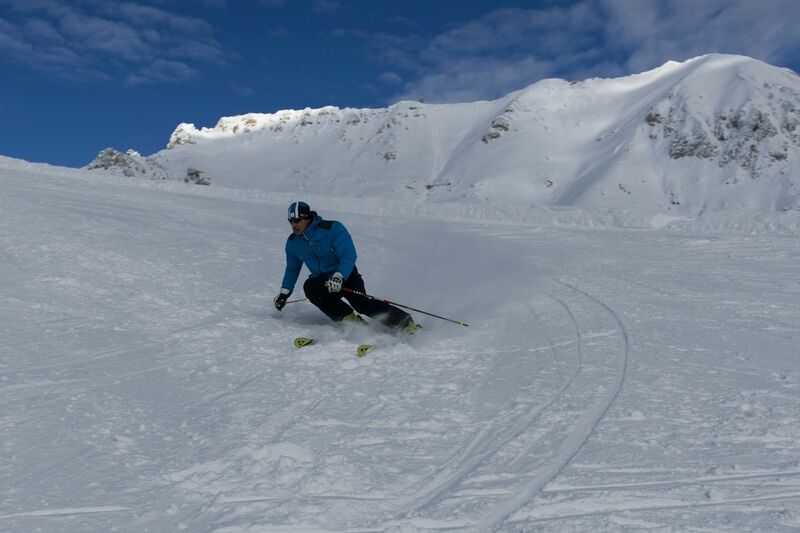 The best thing is to start with a course and let a ski instructor teach your children. Children gain confidence on the snow by playing on the slopes with gentle gradients: with skis on their feet they develop balance, coordination and strengthen their leg muscles. Enjoy watching them play catch with one ski on and one ski off. Concentrating on holding a “snowplough” position, with their feet on the footprints drawn out on the colourful carpets which make the exercises easier. With a ski instructor guiding them, older children (6/7 years) enjoy skiing backwards and playing slalom: some children ski down the gates one by one, while the others ski down the slope. Learning to ski with a ski instructor helps create a team environment, playing all together; they make friends with the other children in the course, and they learn from one another. Perfection does not exist. Children are never embarrassed and they are less scared of making mistakes. As adults we forget and we always want to do everything right, straight away, we want to be able to do things and be safe. This isn’t possible. If for children everything is a game, for adults this can become a new challenge. There are no age limits, it is always possible to learn. All you have to do is toe the line, don’t rush things and trust yourself and the ski instructor who is there to teach you by respecting everyone’s needs. A group course (8/10 people) is a great way to start. At the start of the course there is a little skiing test to see how everyone skis: a short section snowploughing and a few turns are enough to understand everyone’s different level and consequently everyone will be divided into groups. If you don’t know how to wear your ski boots, you look at your helmet and don’t know how to wear it, don’t worry, this happens often. The only thing a good ski instructor cannot do is make it stop snowing heavily, when all you want is some sunshine. At Gardonè you can go for an easy walk with the children in the Dragon Forest, and follow the tracks of the winged creatures who live in the Latemar mountains, speed down at full speed on the Alpine Coaster Gardonè, enjoy sledging with your friends and stop off in the Kingdom of Dragons, an open air playground which is free of charge.